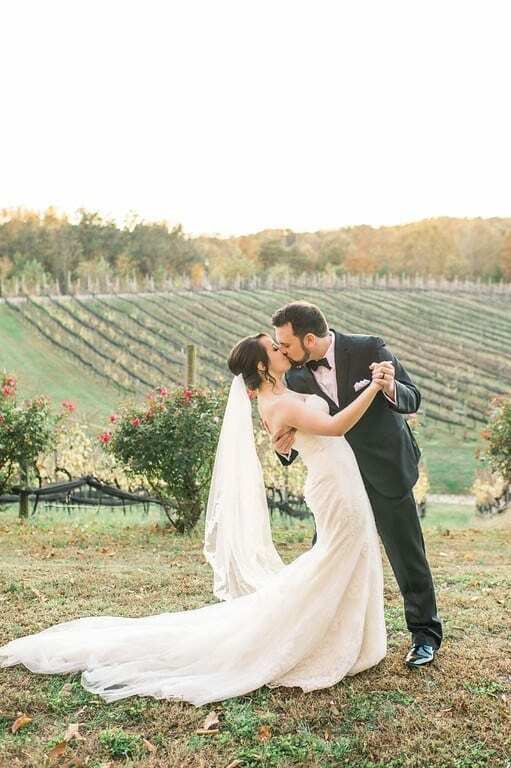 Potomac Point Winery is a Tuscan styled venue, nestled in the heart of Northern Virginia, just outside Washington, DC. 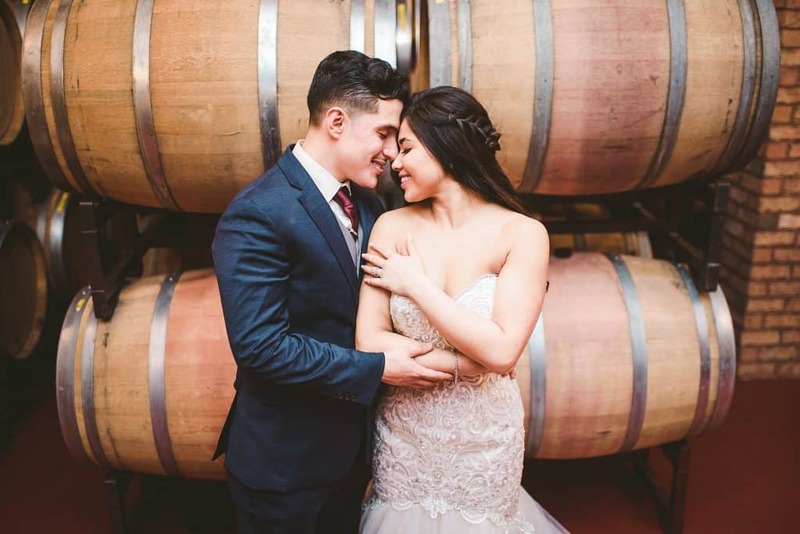 Imagine your winery wedding with a panoramic view of rolling vineyards followed by a beautiful reception in our romantic venue. 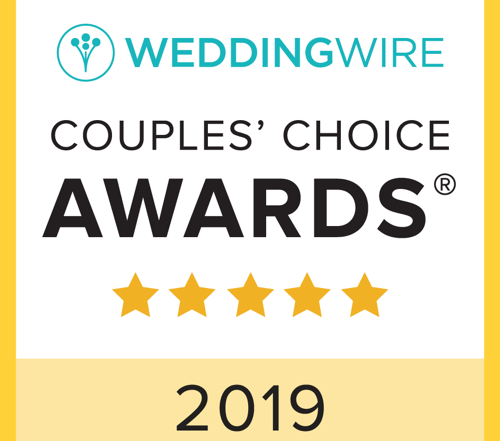 Potomac Point Winery is a Washingtonian Weddings Magazine “Best Wedding Vendor”, WeddingWire fans have given us a “Wedding Couple’s Choice Award” and The Knot has listed us as “Best Wedding Vendor” several years in a row. 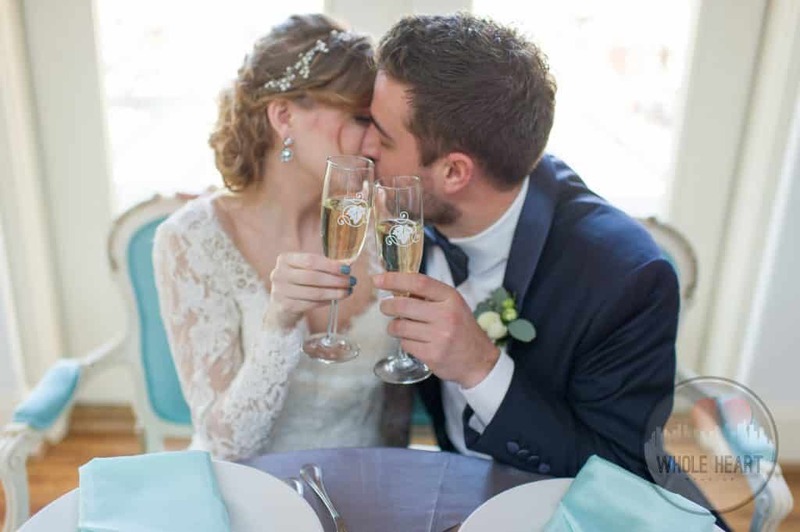 We offer a beautiful Winter Wedding Packet too! Weekend rental packages begin at $4,000. 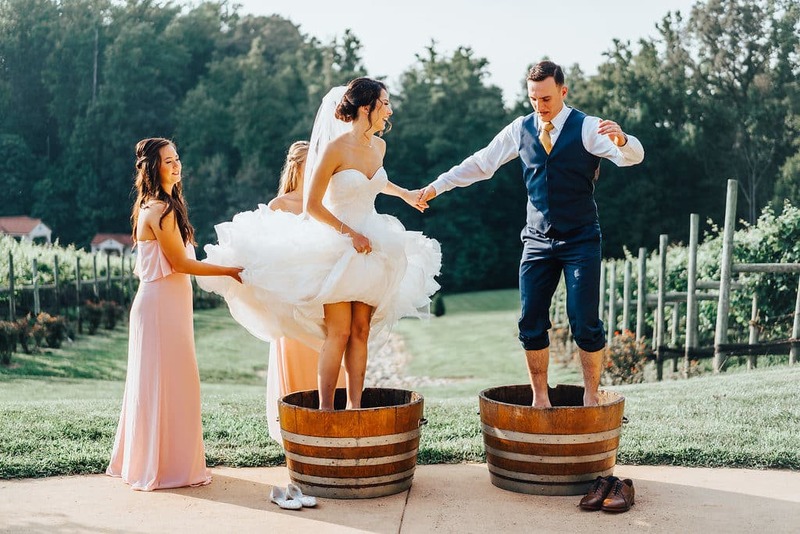 If you are interested in booking a wedding or private event at our facility, then the first step is to contact our events team by clicking on the button below. 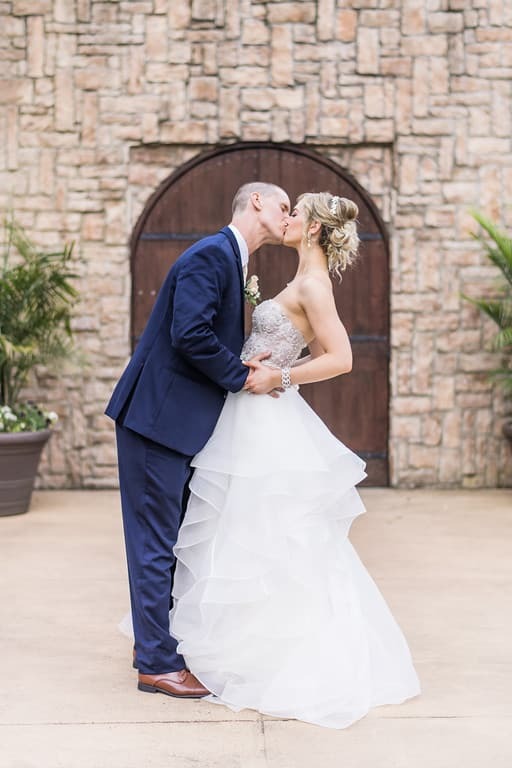 We look forward to speaking with you soon and creating your dream wedding! 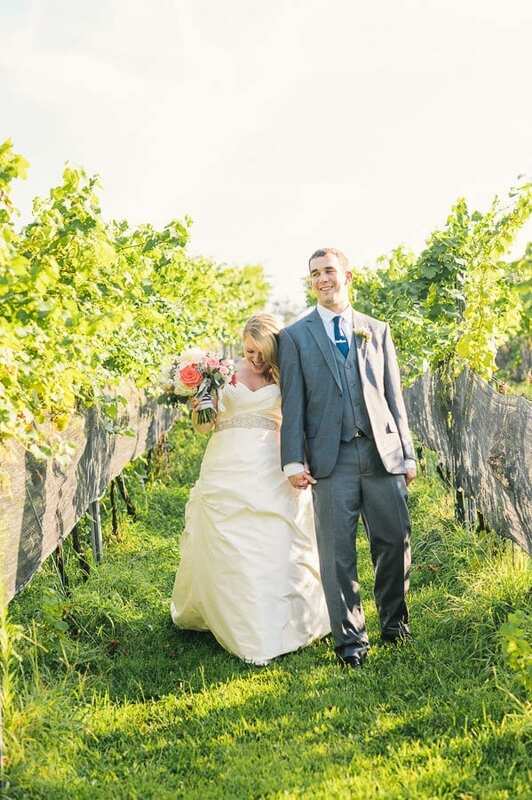 Summer is the perfect time of year for a vineyard wedding! 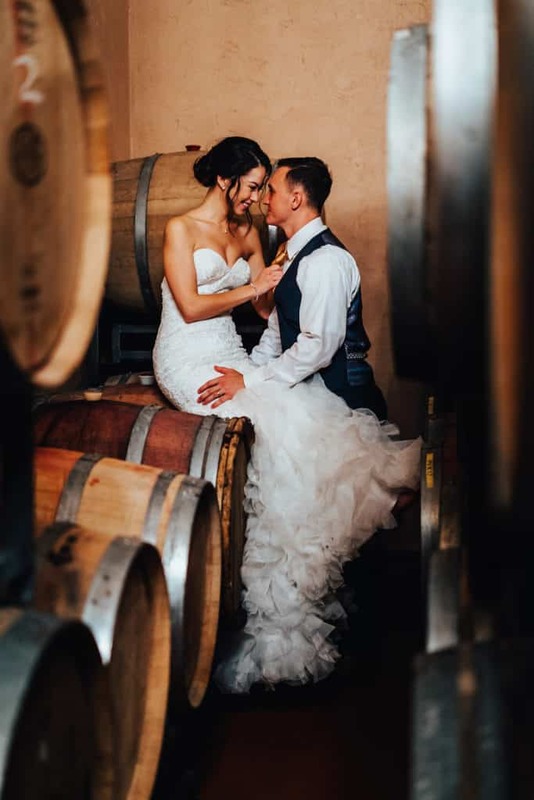 Our lush landscaping, rolling vineyards and unique cellar spaces are sure to give you and your groom beautiful memories and dynamic photos to treasure for years to come! 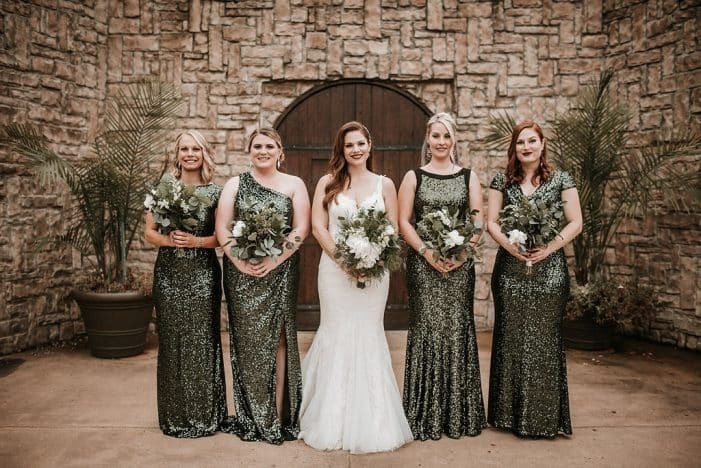 A venue like ours with an abundance of natural landscape provides stunning backdrops while reducing how much you’ll need to spend on décor details! Nothing beats Mother Nature! 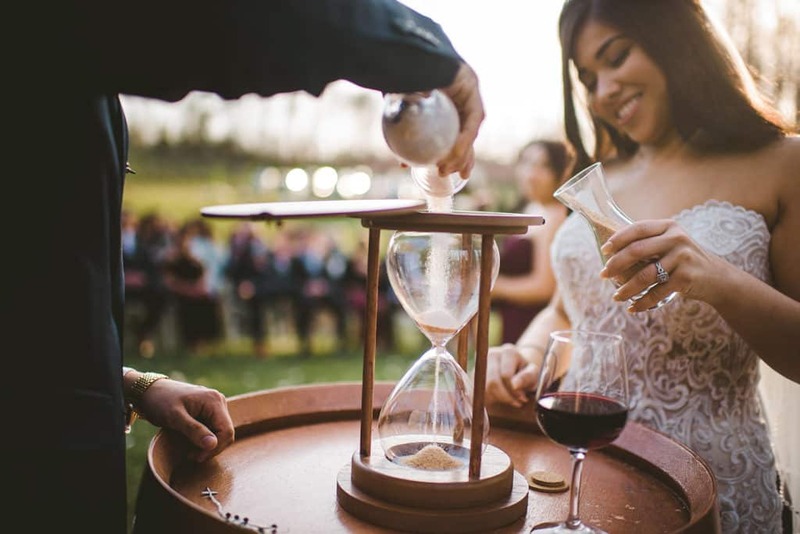 Daylight lasts as late as 9 p.m. depending on the month, which allows for great flexibility in scheduling a ceremony time. 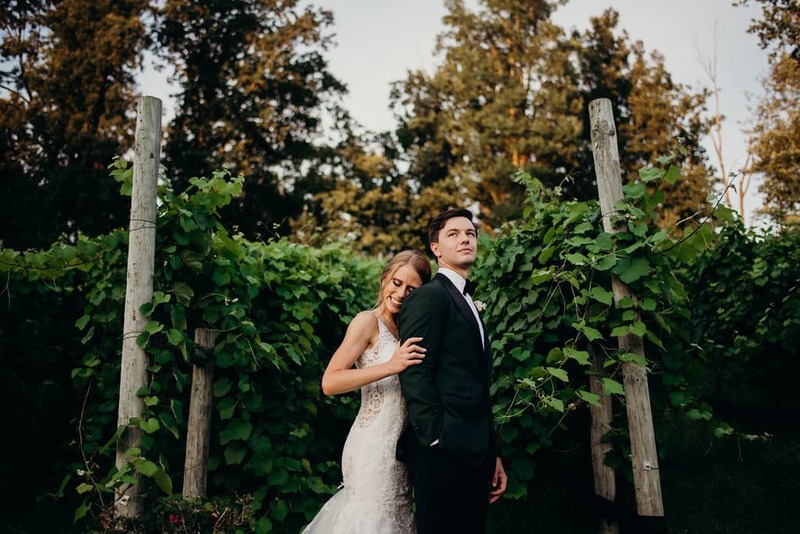 There’s no rush or pressure to get all your photos taken in a short time frame, and the weather stays comfortable in the evening for everyone. 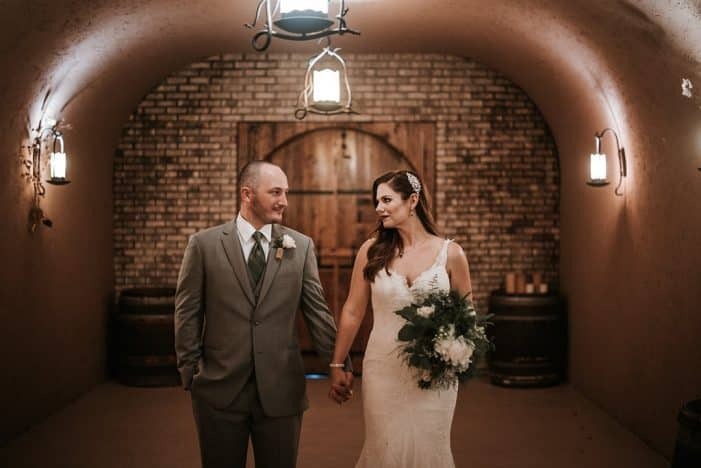 We can light the firepit and have s’mores at your reception under the stars, as well as hang string lights to keep the patio party lingering longer. 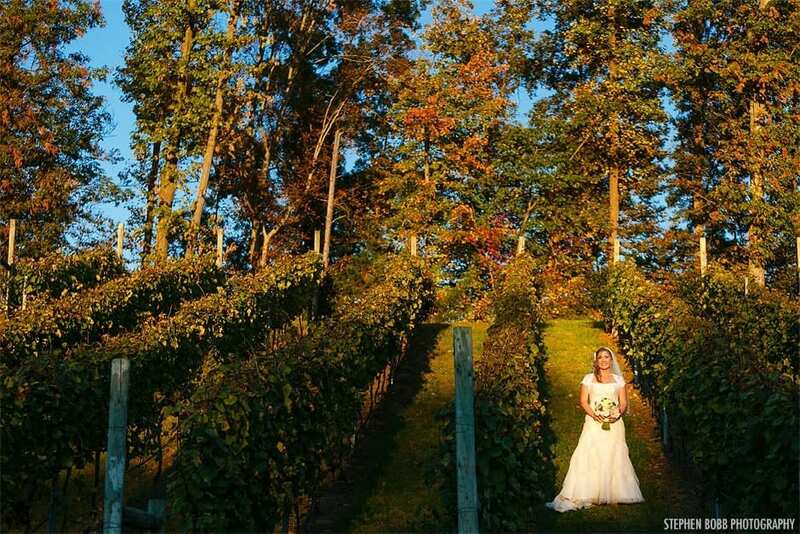 Fall foliage makes everything look magical and will certainly give your photos the perfect pop of color. Play with rich color palettes such as deep jewel tones and our ever-favorite merlot hue. 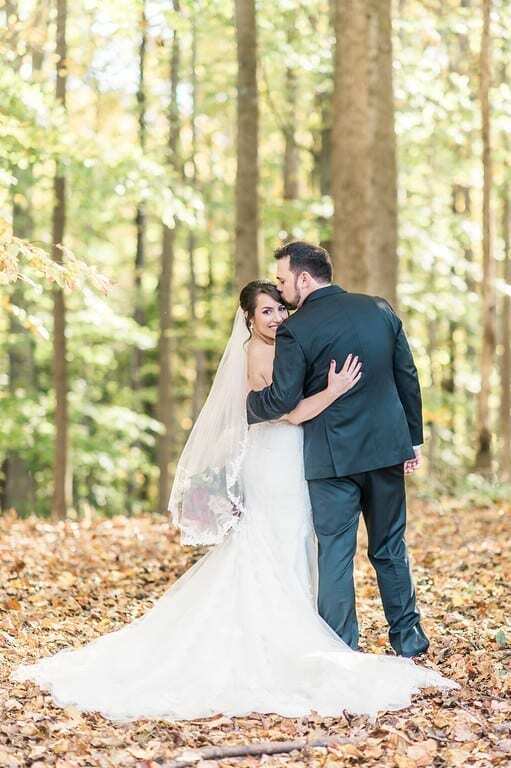 Your dreams of an outdoor wedding will look perfect with colorful autumn leaves providing a stunning backdrop for wedding photos. Envision your cocktail hour with a blazing firepit, paired perfectly with spiced fall sangria or pumpkin beer. 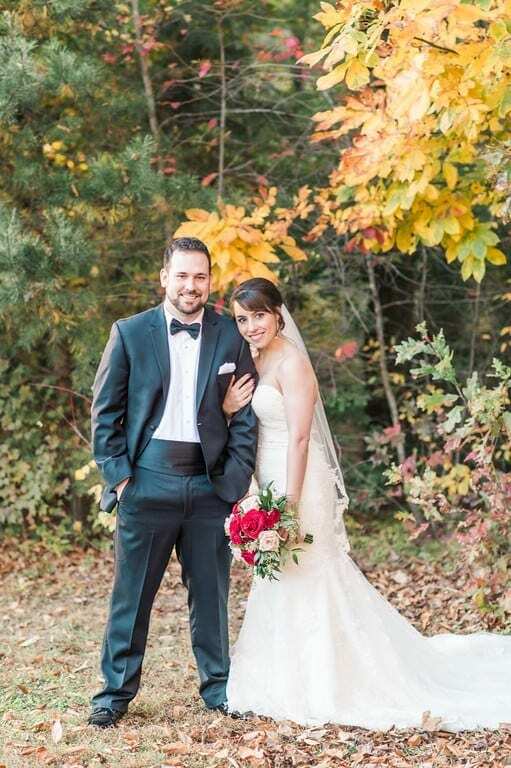 You can even incorporate your favorite fall flavors, like apple and pumpkin, into your wedding menu and desserts. Simply said, fall is the perfect time for falling in love. 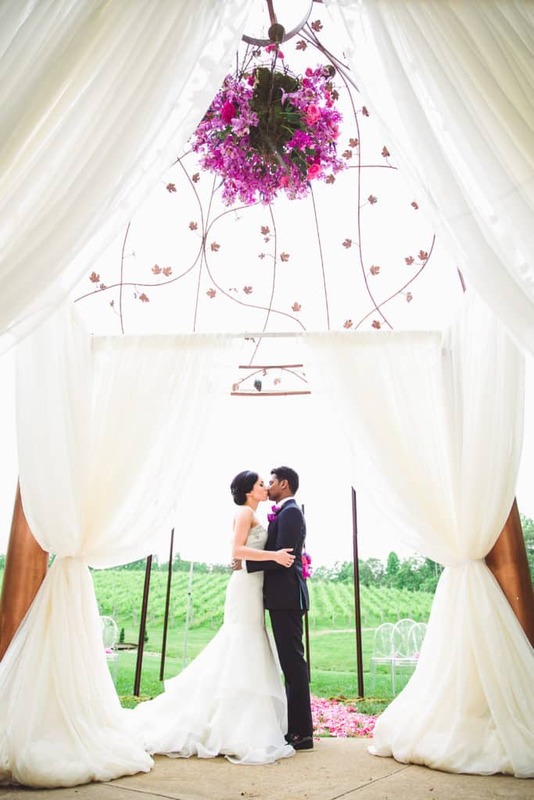 With birds singing, flowers blooming and winter fading away, spring truly is a beautiful time to host a wedding. The season’s natural beauty is so romantic. There’s nothing prettier than spring florals, pastel colors and that soft romantic pop of color at this time of the year. 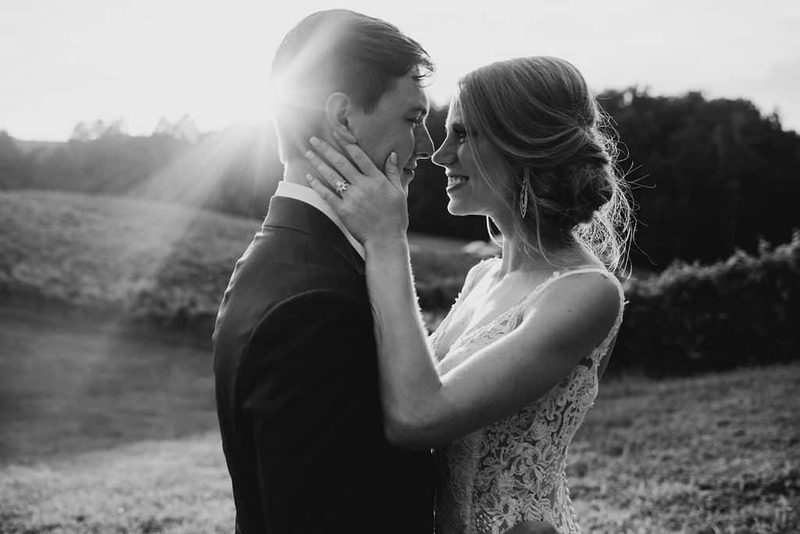 Between the warm breeze, longer days, beautiful pastels and endless inspiration for those little touches, we firmly believe that spring is a stunning time of year to get married. 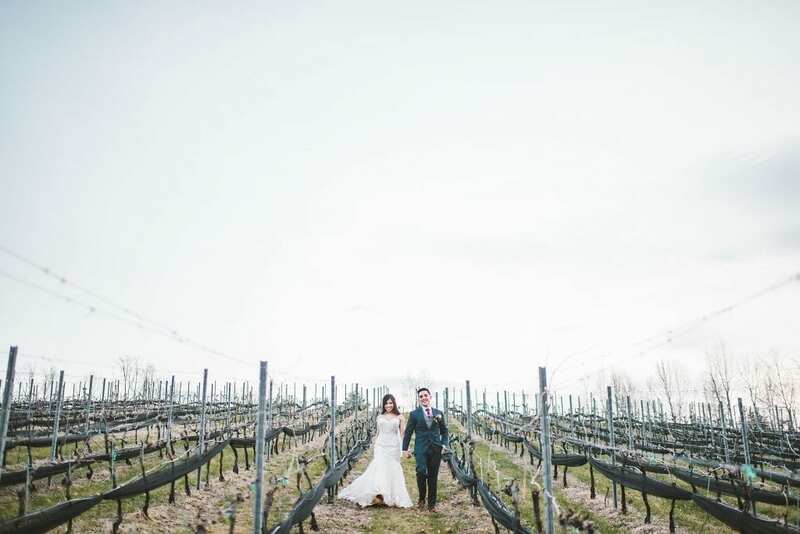 There’s something so charming about a winter winery wedding. 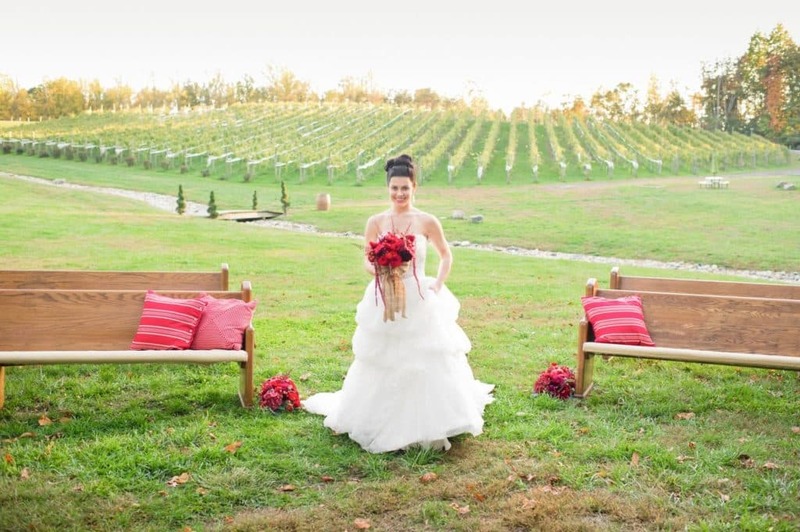 The views of rolling hills and rustic barrels throughout the venue’s décor offers a naturally beautiful backdrop. 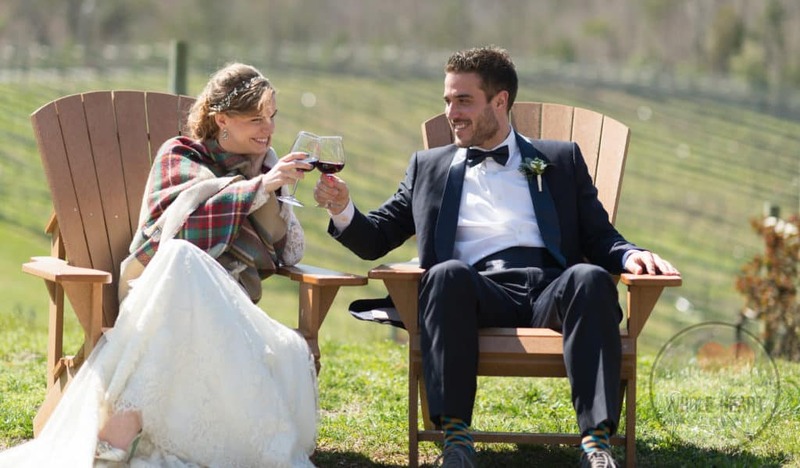 A winter wedding is the perfect place and time for calm, cozy, and casual details that you and your guests will enjoy together; Think roaring fire pits and comfy scarves. Winter allows for endlessly rich dessert tables, hot cocoa bars, and copious amounts of comfort food. Your guests will not be leaving hungry or unsatisfied. 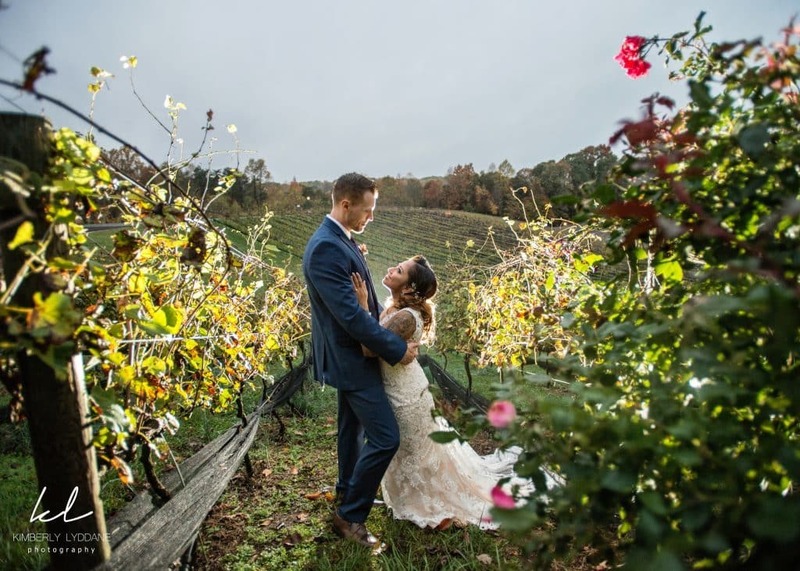 Our beautiful winter wedding photos below give us an opportunity to highlight how beautiful and fun winter weddings can be in our Tuscan inspired winery! 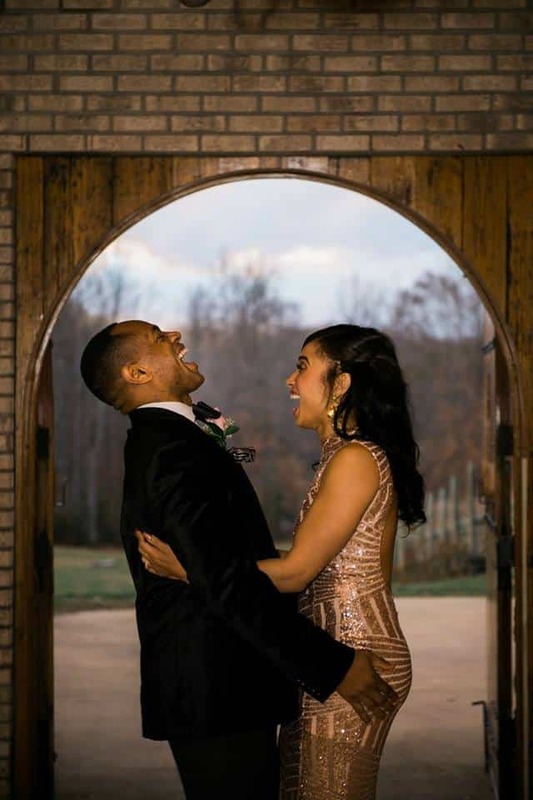 Our happy couples enjoyed a few of our winter accents from s’mores and outdoor firepits to a hot chocolate bar and mulled wine. Multiple people after our wedding told me they had never been to a more beautiful reception, and I couldn’t possibly be more pleased. 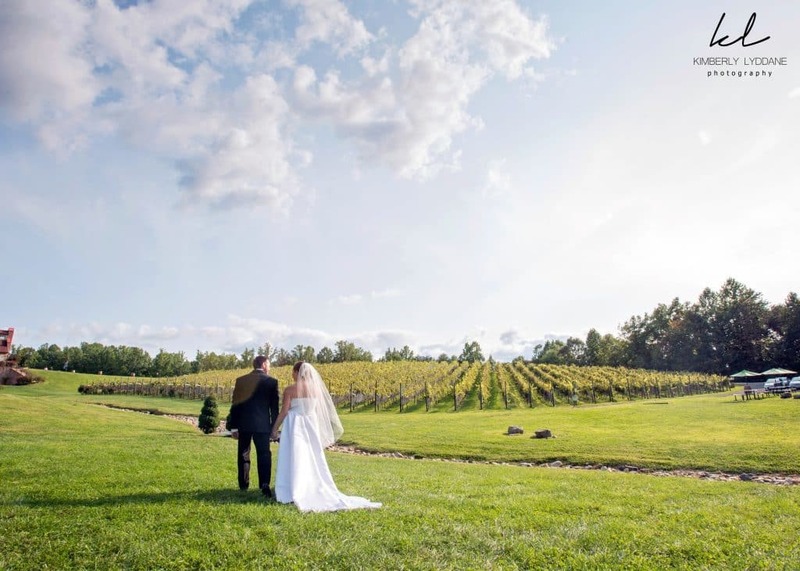 “Potomac Point Winery is PHENOMENAL. 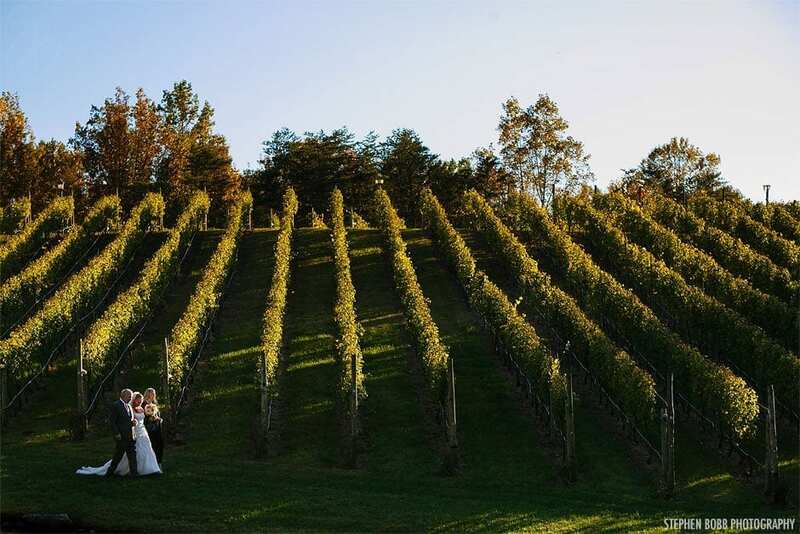 The venue is stunning, from the rolling vineyards to the elegant ballroom, and is sure to wow your guests no matter the season. 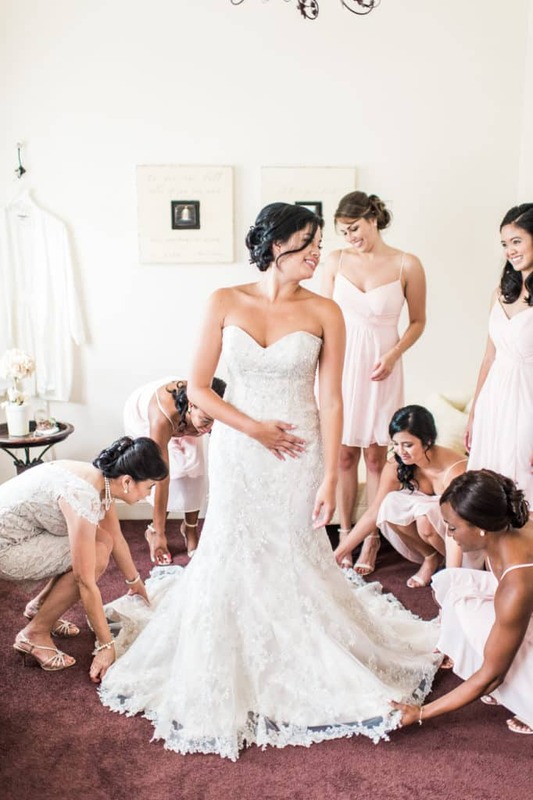 The bridal salon is well suited to get ready in, with plenty of space for bridesmaids and mothers to move about. 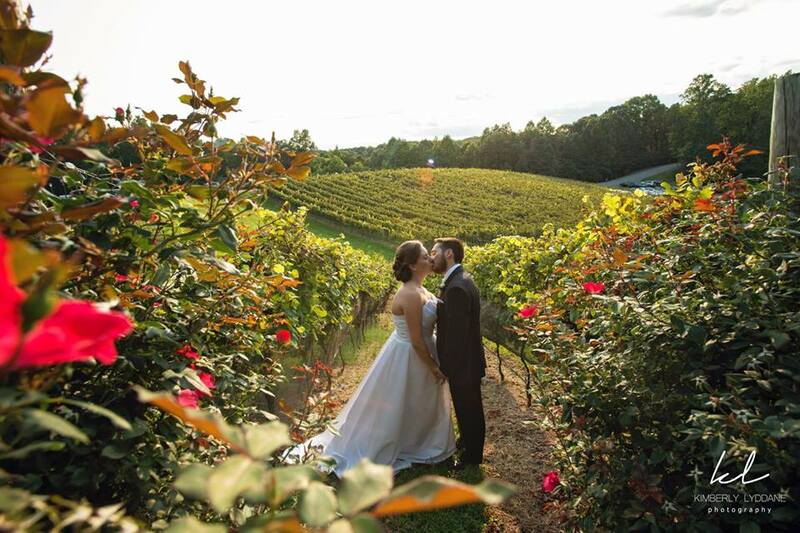 The first look spot location allows for an intimate moment with your future spouse, beautifully set overlooking the vineyard. Sydney, the coordinator, made the planning process easy. She communicated with clear answers, worked with the chef to customize the menus for us, patiently walked through any questions/concerns we had and was always willing to help, all with a positive attitude. 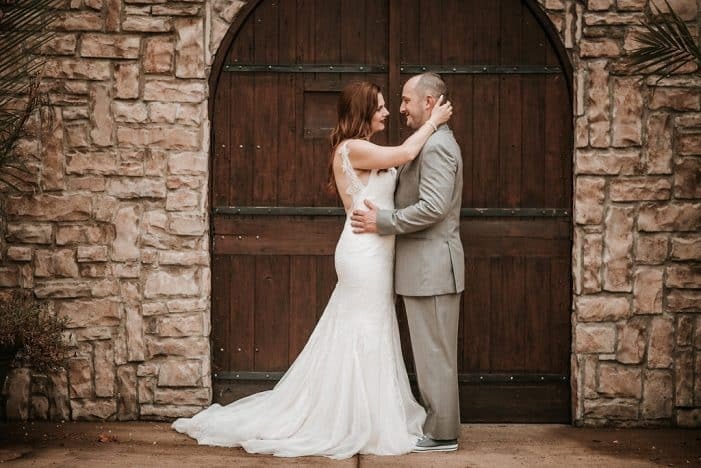 Sydney went above and beyond with our set-up, allowing us to drop off most of our decorations the day before our wedding so that we could arrive the day of with less baggage. 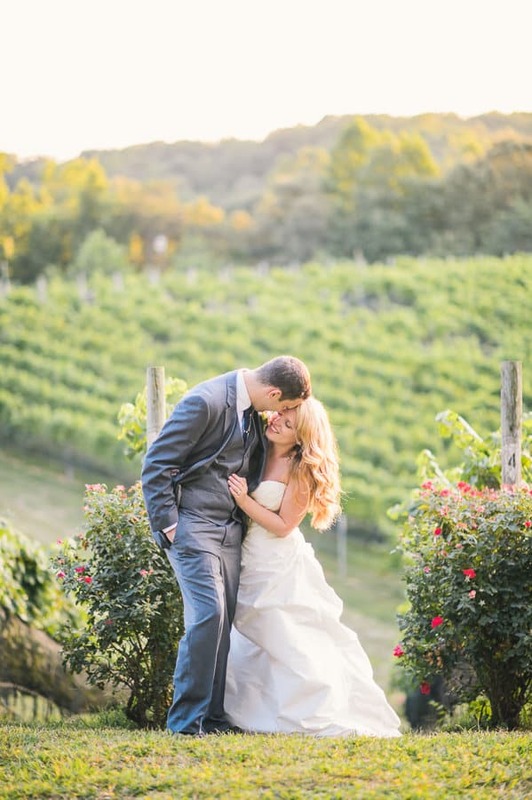 “We booked Potomac Point for our wedding reception and couldn’t be happier! 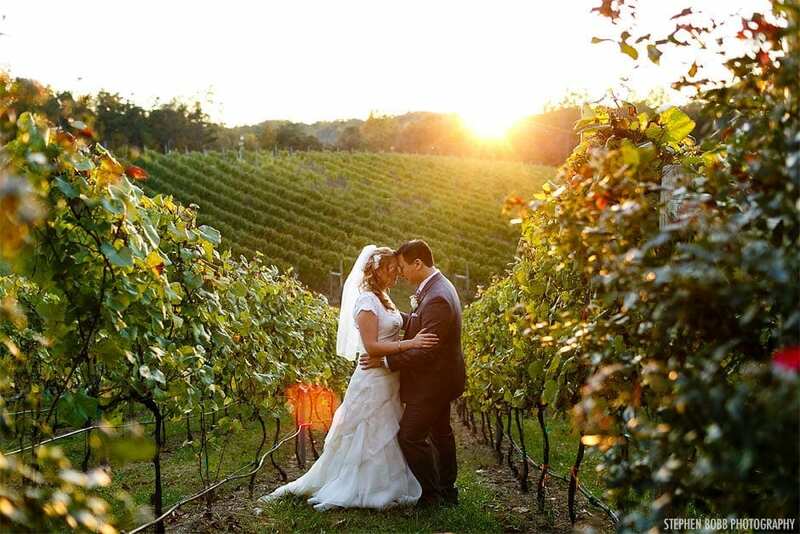 The vineyard itself was stunning during sunset and the ballroom was a perfect fit for our 130 guests. 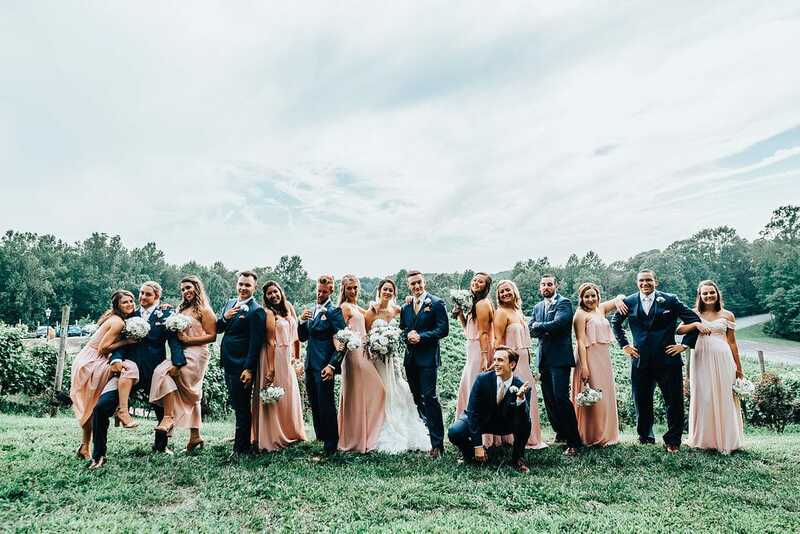 Our big day went so smoothly thanks to Chelsea and Sydney, who were both an absolute joy to work with. 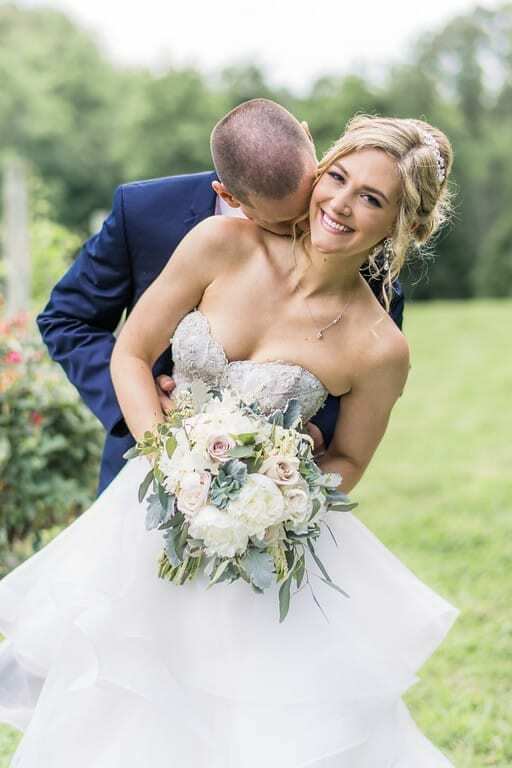 They guided me through every step of the process and I really appreciated how flexible they were with all of my last-minute changes. One of the biggest highlights by far was the food and wine. Our guests couldn’t stop raving about how delicious everything was, especially the sangria. “Whoever looks at PPW’s ballroom and decides NOT to have their wedding there, is CRAZY! This was an absolute home run. 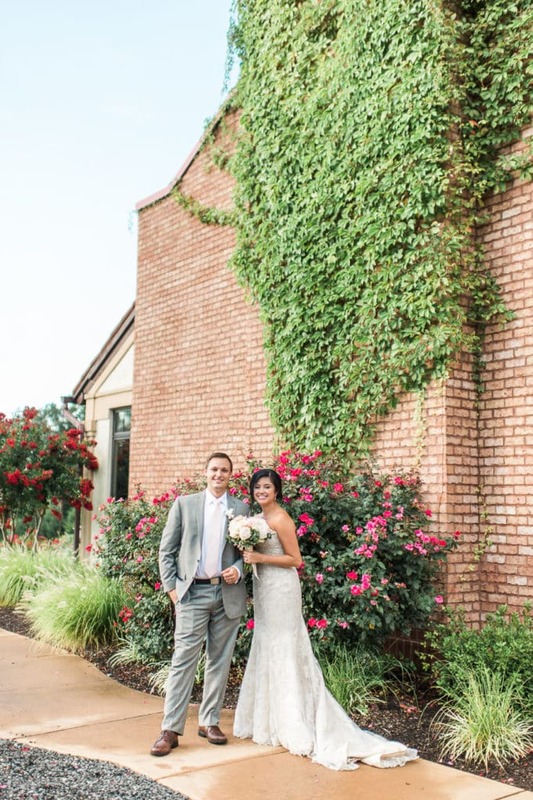 Not only are the wedding coordinators there absolutely fantastic, sweet, and helpful, but the staff is SUPERB. Multiple people after our wedding told me they had never been to a more beautiful reception, and I couldn’t possibly be more pleased. Huge shout out to Chelsea, Brianna (good luck in Hawaii! 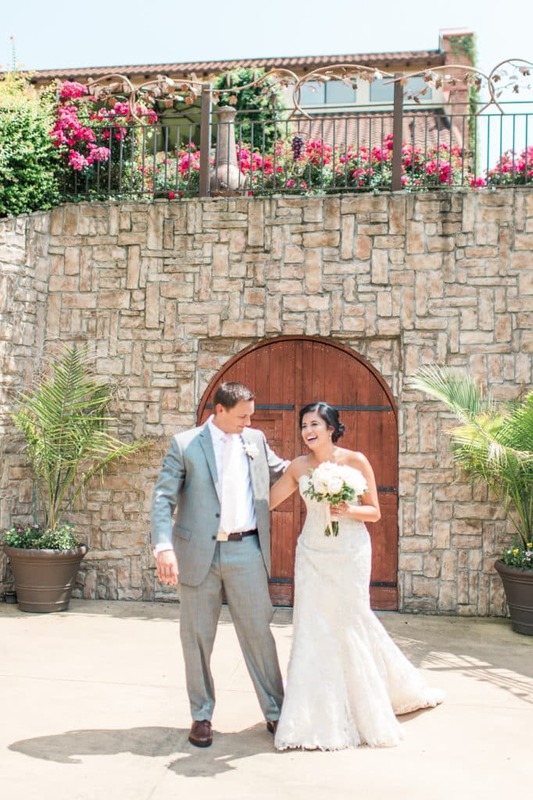 ), and Jonathan (he is so much more than just an employee there- he made sure to take care of my husband and I during the reception, giving us drinks and food, and just always being so kind and helpful!). Again, THANK YOU, PPW for the best night of our lives! Do you have any local lodging you recommend? Looking to make your visit a weekend getaway? 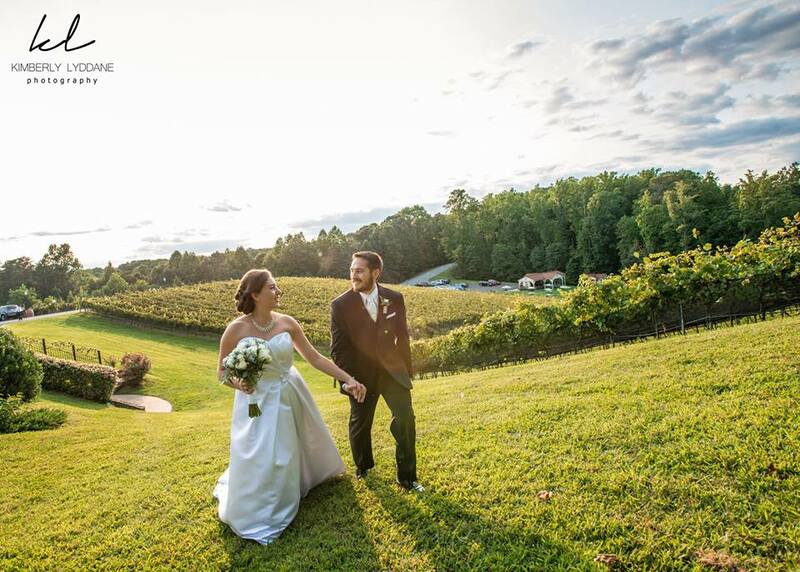 Book at a room at the local Courtyard Marriott, located only 5.1 miles from Potomac Point Winery. Looking for something homier? 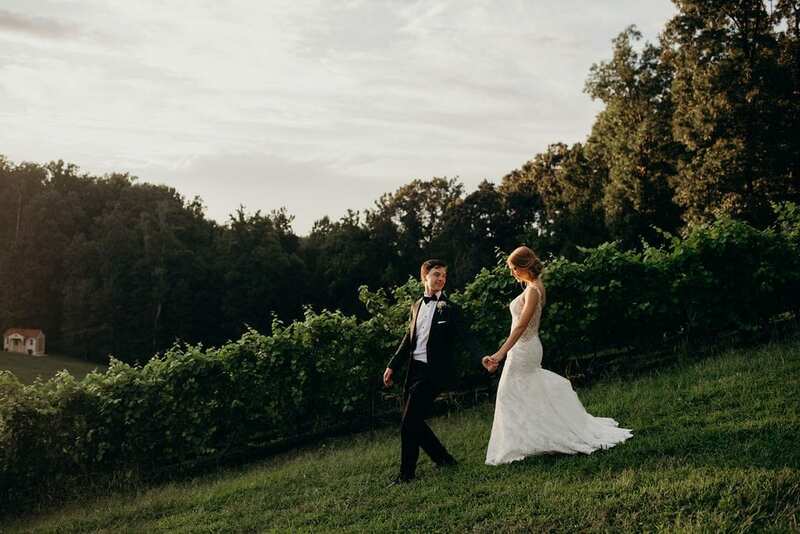 The River House Inn is a local Airbnb option located right on the Potomac River, only 3 miles from the winery. 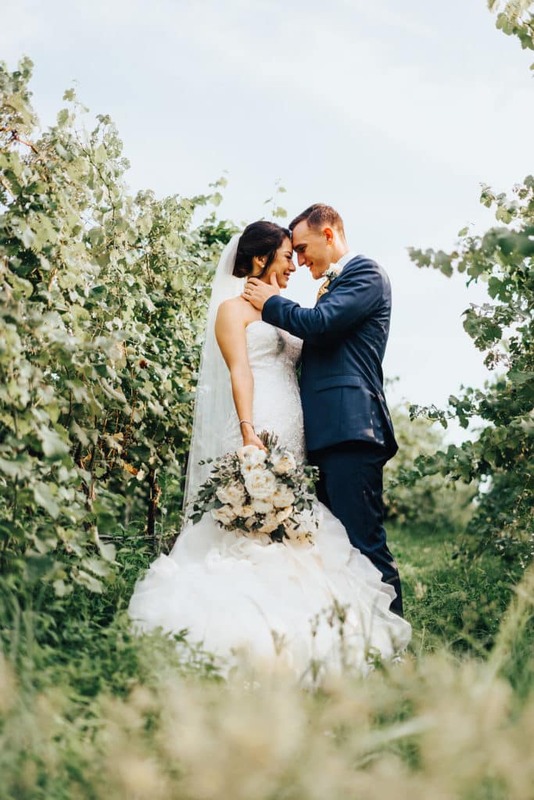 Are dogs permitted at my winery wedding? 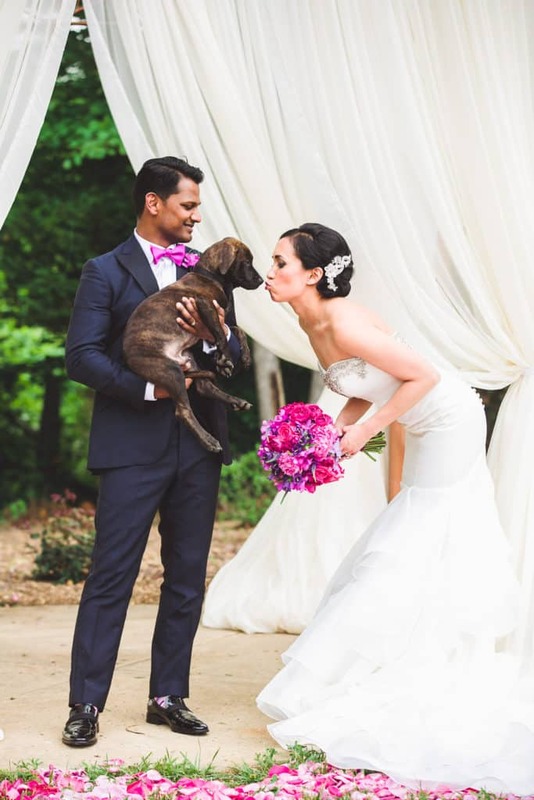 We are a dog-friendly establishment; they are permitted in any outdoor spaces and inside the bridal salon. 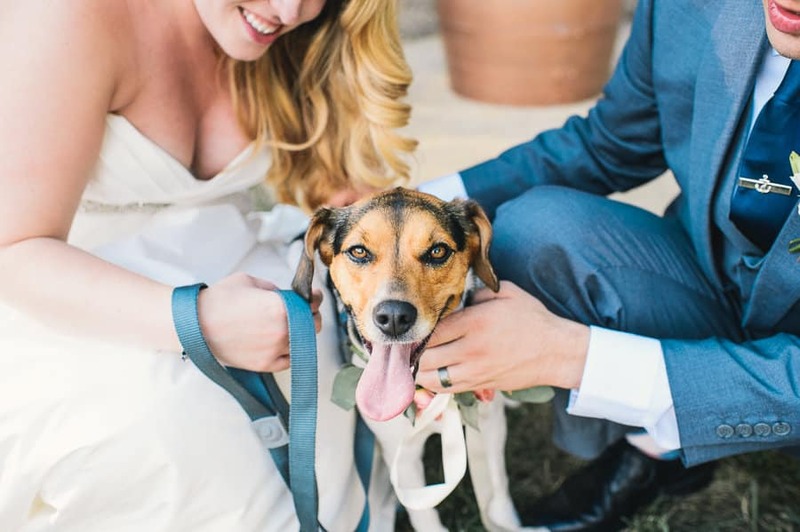 You must make arrangements for your pup to be taken home once the reception begins. 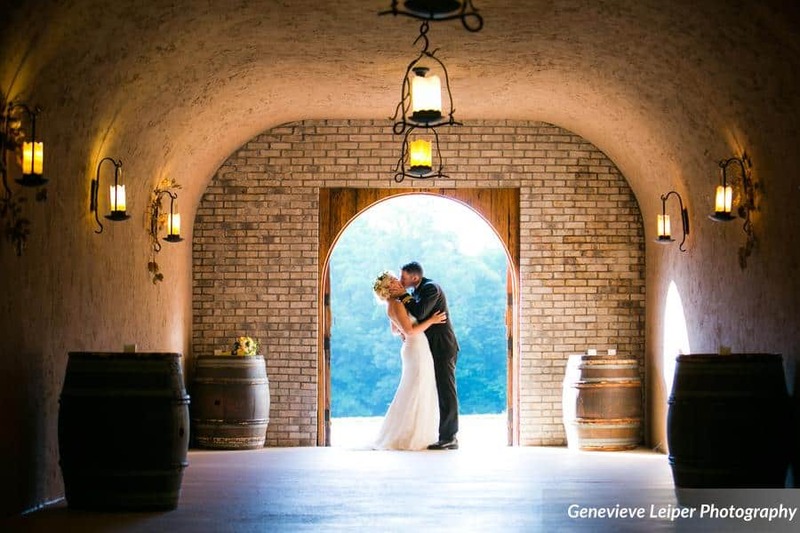 Does Le Grand Cru Catering provide a wedding cake? We do not include wedding cakes in our packages. We are happy to make recommendations for wedding cake specialists. However, our packages do include our complimentary cake cutting services. May I offer a choice of entrees? Will you accommodate dietary restrictions? We do allow a choice of two pre-selected entrees for seated meals. We require that you provide place cards with an indication as to which selection was chosen, and a detailed meal chart that we will provide you. We are happy to accommodate guests with dietary restrictions, including vegetarian, vegan, gluten free and other allergies with advanced notice. When do you need a final head count? Your food and beverage guaranteed headcount must be received no later than 10 business days prior to your event. After this time, we are unable to accommodate a lower headcount. Do you have catering in-house? Do you offer a menu tasting? Yes, we conduct all catering on-site, creating the best possible quality & service. 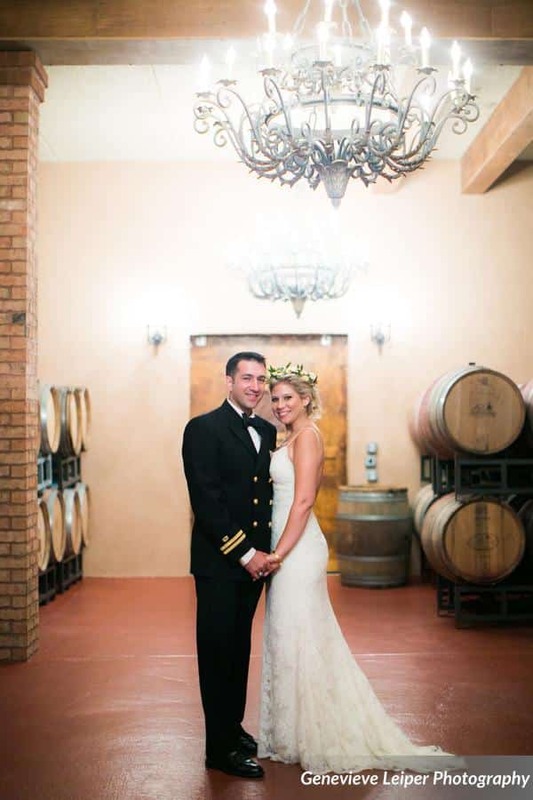 If your event has 75 or more guests, a tasting for the bride & groom is complimentary. Your Venue Coordinator will coordinate your menu tasting approximately three months prior to your event. Catering Tastings take place on Wednesdays and Thursdays based on chef’s availability. Please note, we do not allow outside catering. 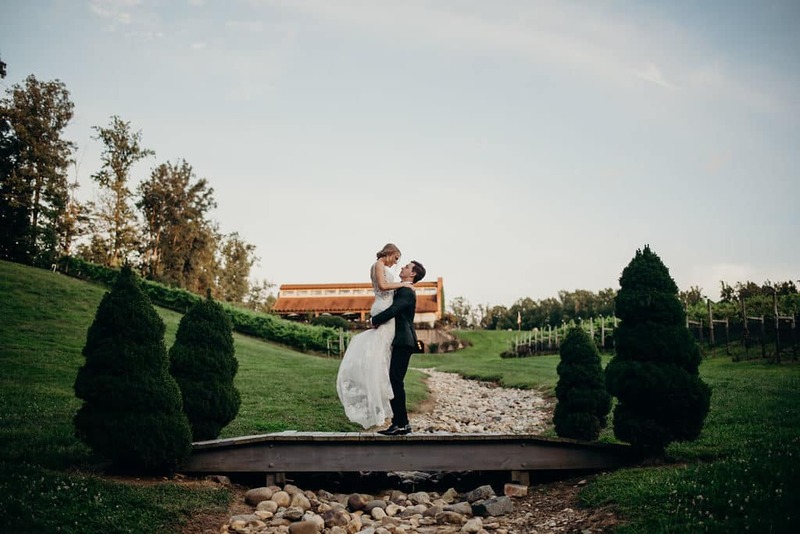 What is the rain backup plan for my outdoor ceremony? 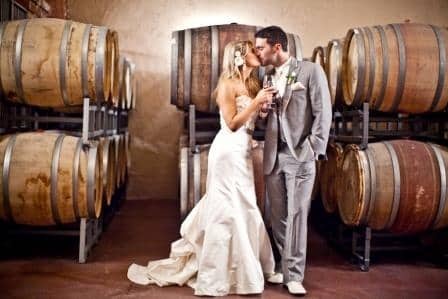 We have several indoor options available for your Ceremony & Cocktail Hour depending on the size of your event; we are happy to review these options during your site visit. Will you tentatively hold our event date until we can make a final decision? We are unable to hold any event dates on a tentative basis. Once the contract is signed and the initial deposit is made your date is secure! All food, beverage, and additional decisions can be made or changed after signing your contract to book your date. 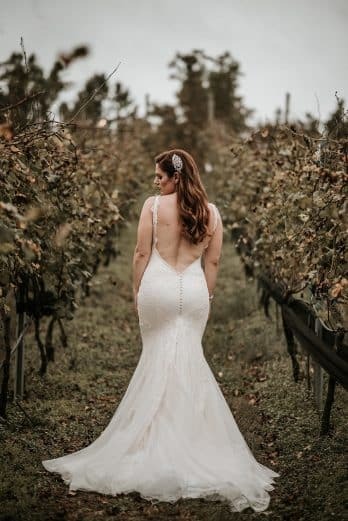 When do I have access to the bridal salon? 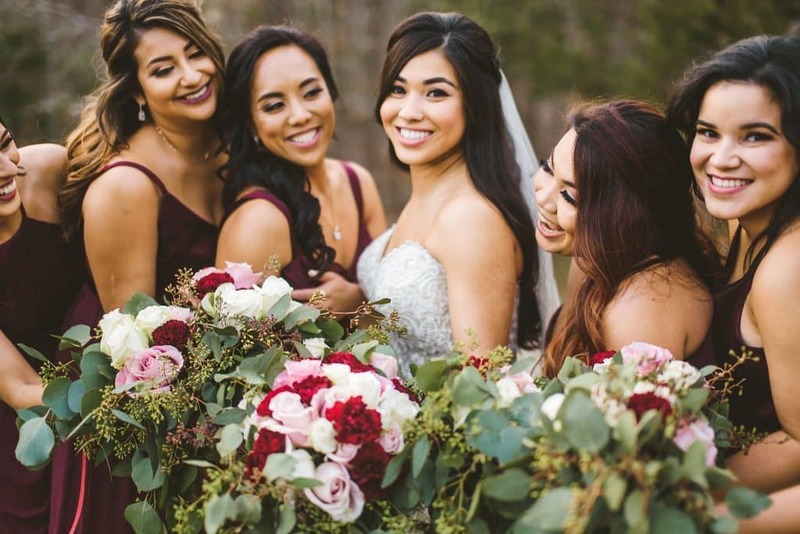 With your Vines to Vows package, you and your bridesmaids will have full access to the bridal salon beginning at 11:00 am on the day of your event. You may leave your belongings in the salon for the duration of the event. 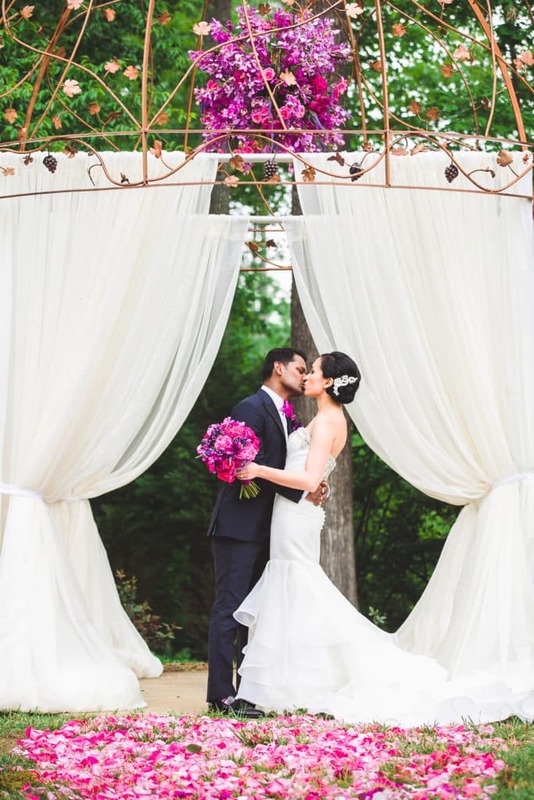 How much do weddings at your venue cost? 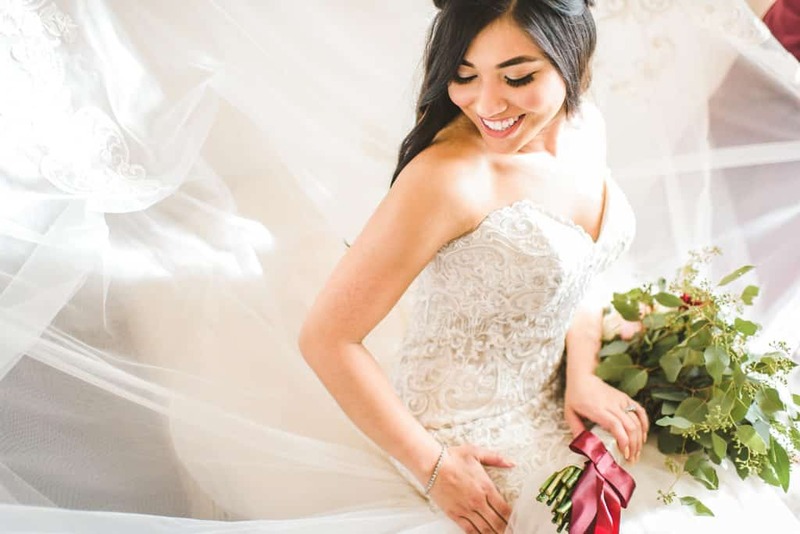 Do you provide day-of wedding planning? 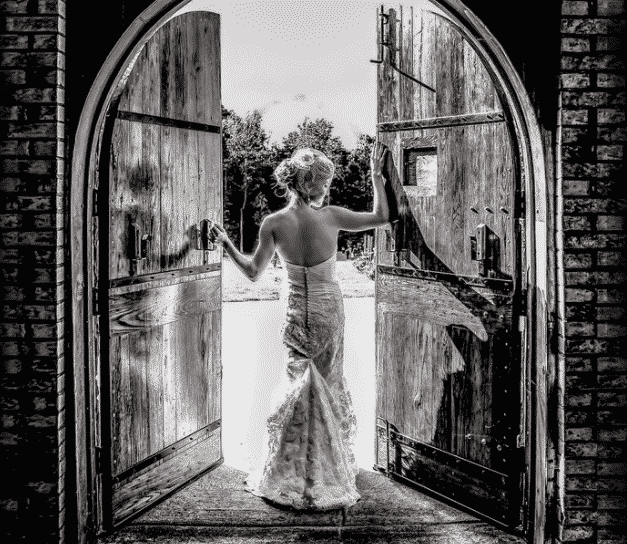 We do provide a day of Venue Coordinator for weddings; however, we do not provide wedding planning services. 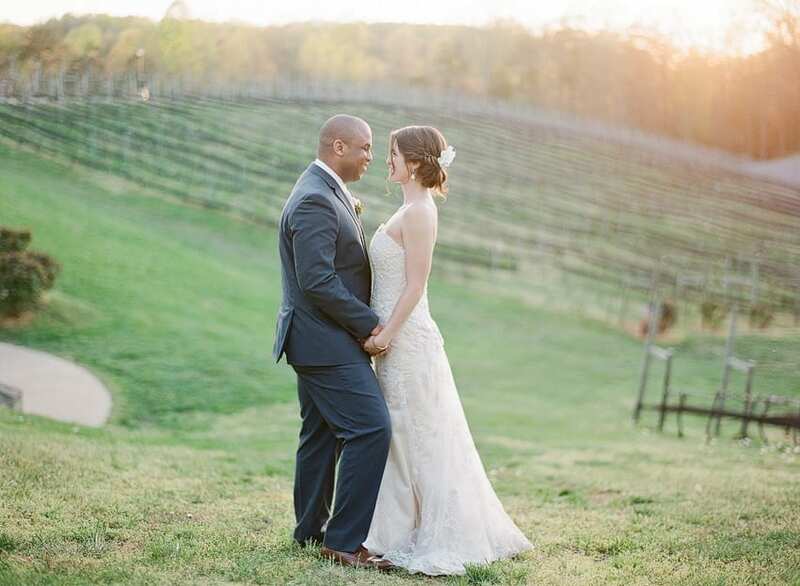 Potomac Point would like to provide you with the best possible service, to ensure we do so we provide a Venue Coordinator to assist with your big day. They are there to coordinate our staff and be sure that we are in line with your desired timeframe and specifications. 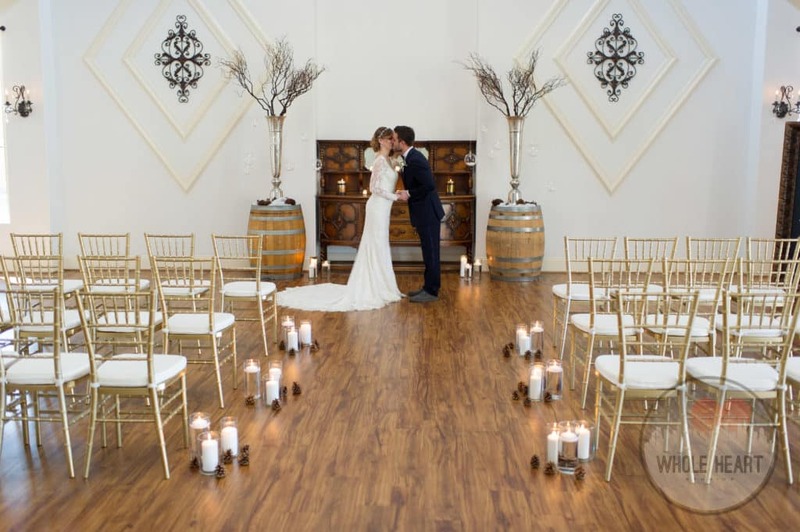 We recommend hiring a planner for any additional needs concerning ceremony planning, transportation, décor consultations, DIY assembly, etc. What is the typical timing for an event? Our standard full day is an 8-hour package which includes two hours for set-up, five hours of event time and one hour for clean-up. 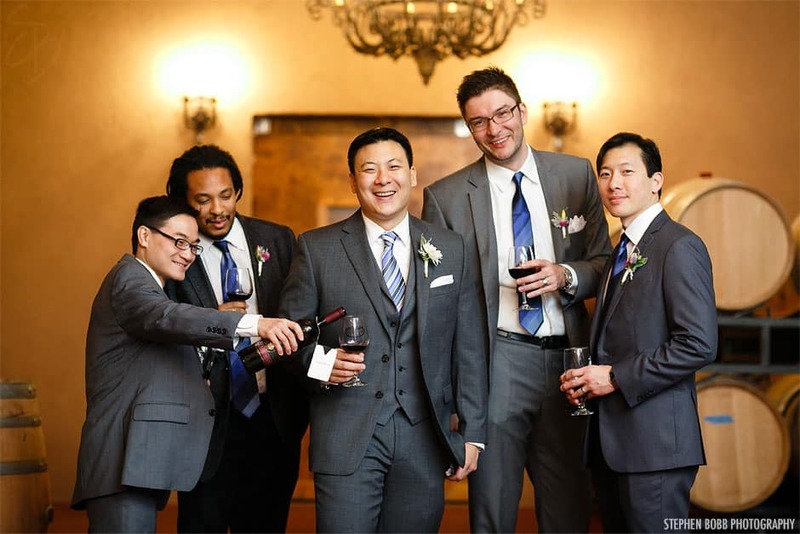 If you are hosting your ceremony on-site, you will receive the additional ceremony time complimentarily. Note: Friday & Saturday events must conclude by midnight, Sunday events must conclude by 11:00 pm. 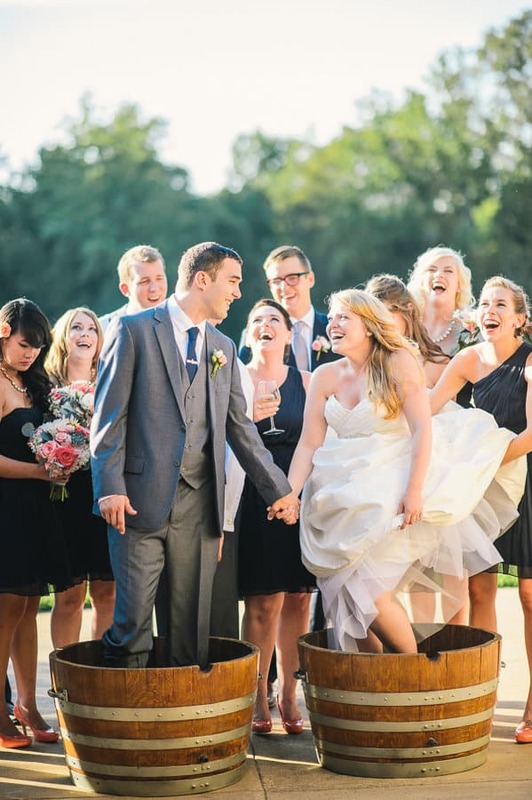 How many guests does your venue accommodate? 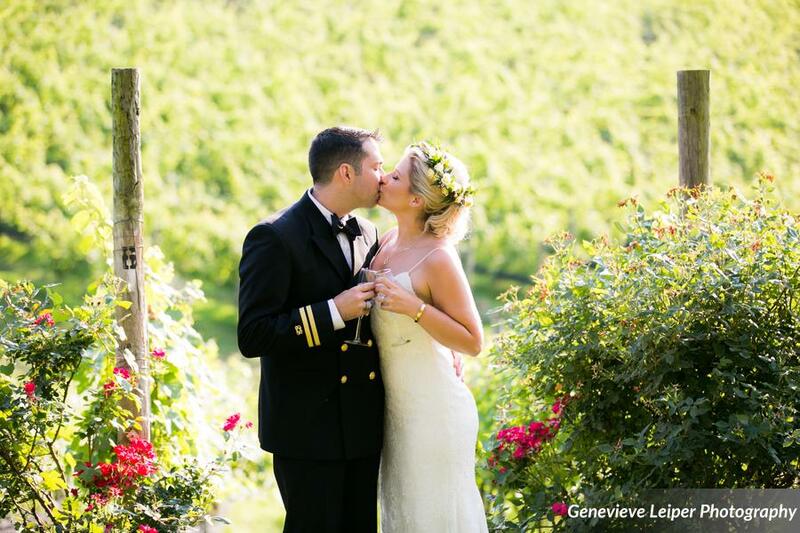 Our standard wedding packages are made to best accommodate 80-200 guests. 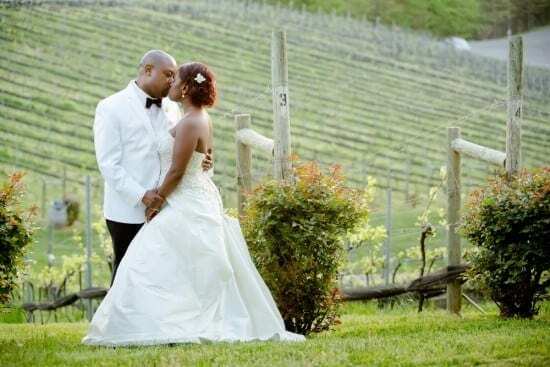 Our intimate wedding packages are made to best accommodate 20-40 guests. 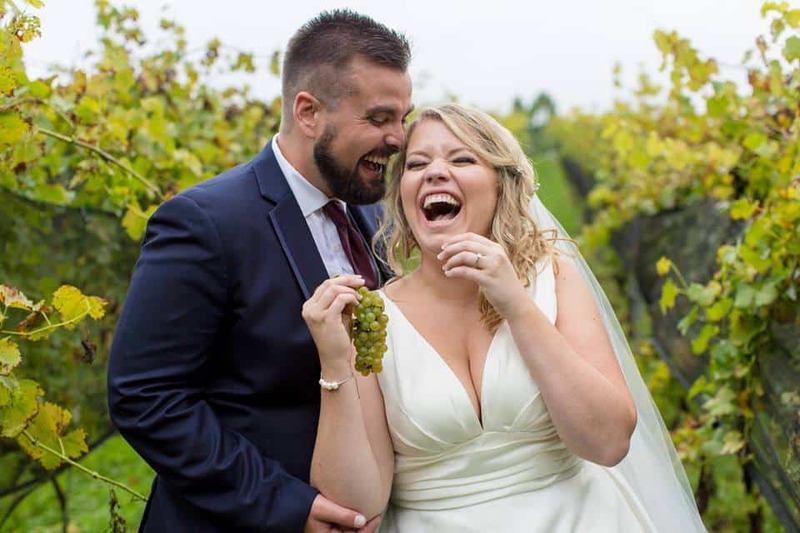 Our winter wedding packages are made to best accommodate 75-160 guests. 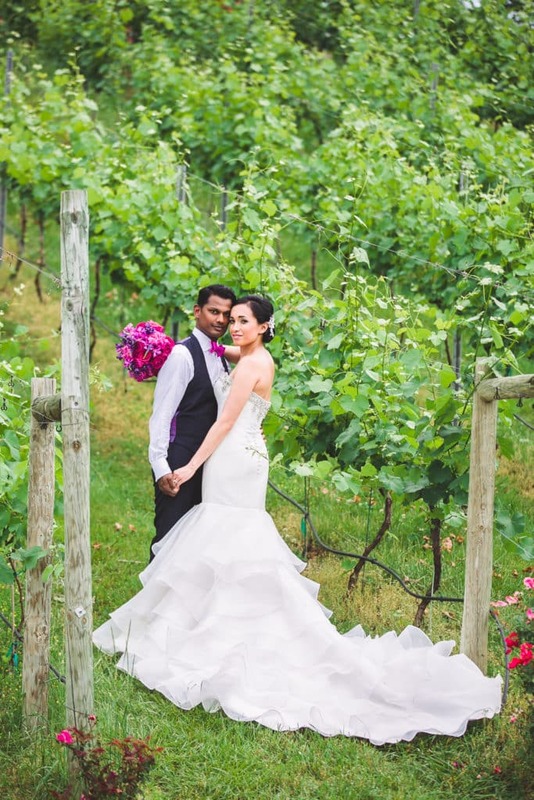 What is your Vines to Vows Package? 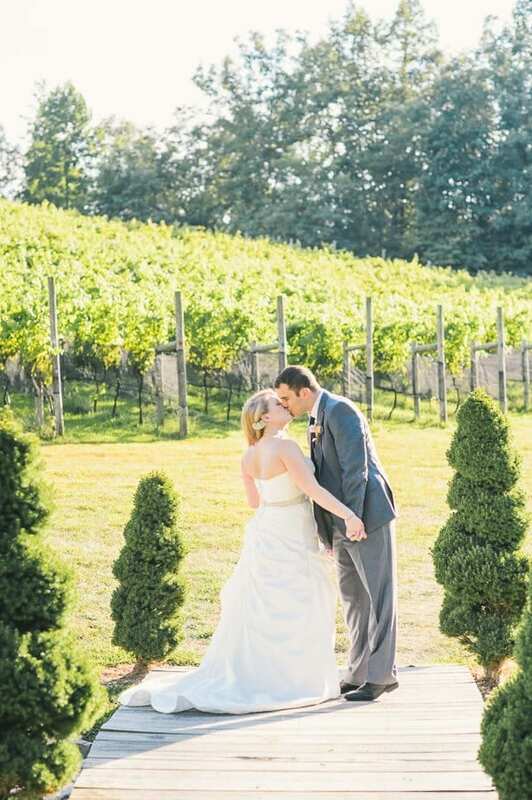 Our all-encompassing Vines to Vows package includes all spaces needed for your entire wedding day. 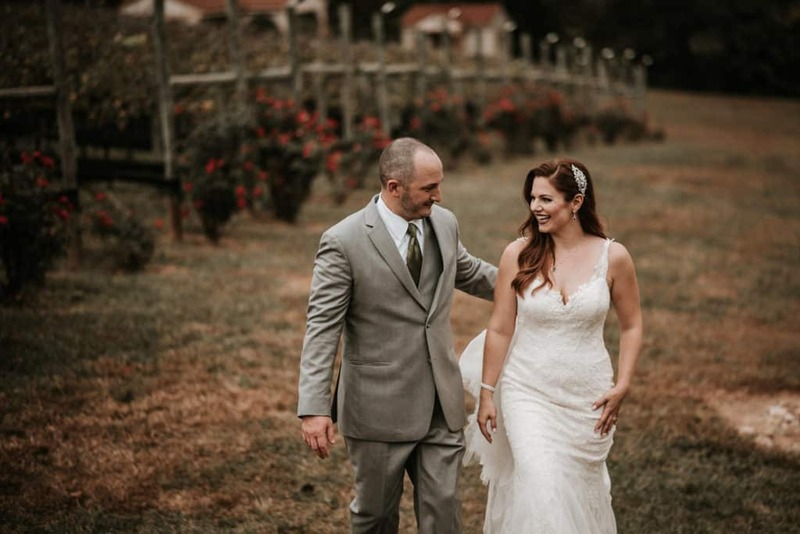 This package includes a space for your ceremony rehearsal; The Bridal Salon to get ready in, a beautiful outdoor ceremony location in the vineyard, the Richland Patio for cocktail hour and the Richland Ballroom for your wedding reception. Support from our Venue Coordinator throughout your planning process and our Banquet Captain on the day of your event is included.